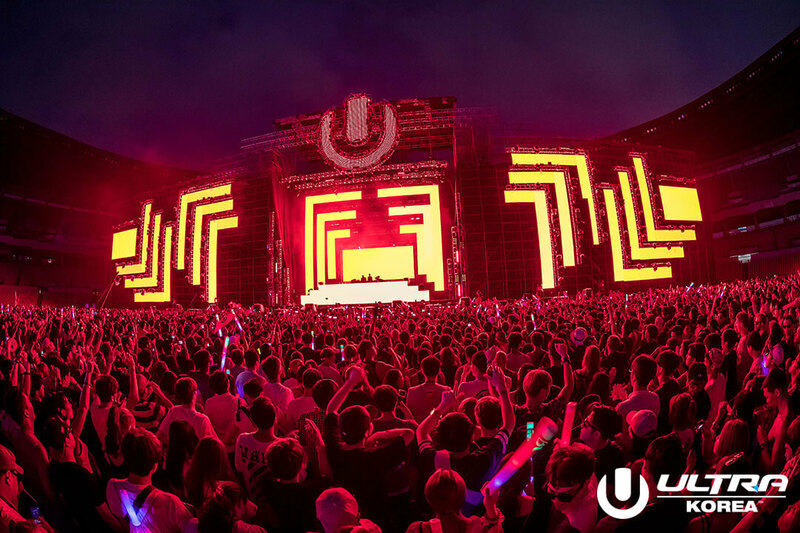 On June 10, 11 & 12 2016, ULTRA Korea celebrated its landmark fifth anniversary; becoming the most established event in ULTRA’s global calendar, after of course the annual flagship event in Downtown Miami, which turned 18 earlier this year. Expanding to three days for the first time in its five-year history, The Olympic Stadium hosted a record-breaking 150,000+ strong crowd, for what was officially the largest electronic music festival ever to take place on Korean soil. Vast hoards of Ultranauts bore witness to juggernaut sets from headliners including Afrojack, Armin van Buuren, Avicii, Axwell^Ingrosso, Chase & Status, deadmau5, Knife Party, Martin Garrix & Rabbit In The Moon, across four diverse stages, including an awe-inspiring Main Stage that had grown in size by over 30% since the previous event in 2015. Without a doubt the biggest talking point of the weekend was the closing Main Stage set on Sunday evening, where fans were treated to an unforgettable slice of music history. Having announced his imminent forthcoming retirement from touring earlier this year, Swedish megastar Avicii took to the colossal stage for his final ULTRA performance ever, showcasing an entire catalogue of smash hits that shook Seoul to its very core. Powered by UMF TV, NOMOBO and VLIVE, the ULTRA Korea live stream was watched by over 1,000,000 around the world, in another huge success story for the long-standing Asian festival. Other highlights across the weekend included some impressive Live Art Activation, which saw 8 world famous graffiti artists visually captivate fans with incredible live painting performances, and a delicious array of food and drink booths, offering refreshments and culinary delights from across the globe. In another simultaneous weekend double-header, Saturday June 11 also saw Road To ULTRA Thailand land in Bangkok for its third annual sold out show, hosting the likes of Avicii, Martin Garrix, Jauz, Sunnery James & Ryan Marciano and Ansolo among others at the iconic Bitec Convention centre. The conclusion of Road To ULTRA Thailand and ULTRA Korea marked the end of ULTRA’s first 2016 Asia tour, ahead of the second run of shows in September. Part two will see the brand undertake six stops across the continent including, Singapore, Taiwan, Japan, Hong Kong, Bali and the Philippines all within a two-week span – a feat that no other event organizer can lay claim to.